Good. 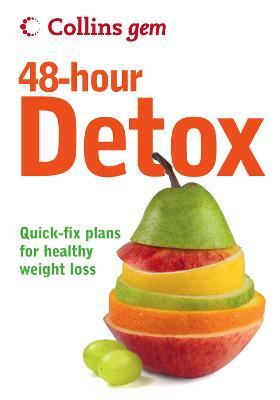 48-hour Detox (Collins Gem) by Paul, Gill. As New. 0007266588. Remainder; 6 oz. ; 191 pages; New small PB w/line bottom edge. Whether detoxing for the first time or adopting it as an approach to life, this is the perfect portable guide to finding a detox plan that works for you and ridding your body and lifestyle of toxins. In just 48 hours, it is possible to kick-start a sluggish system, lose weight, and improve the look of your skin. With a variety of 48-hour detox plans to choose from, it becomes easy to pick a regime that fits into your life. Each plan includes delicious recipes and menus. Shopping lists and must-have items for the kitchen are also included, making this the ideal book to slip into your handbag for quick and speedy reference.